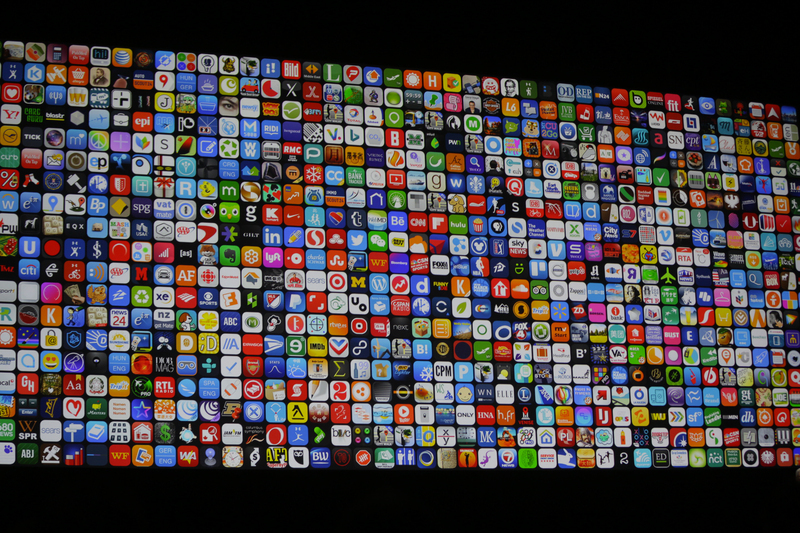 "Tool is spotting patterns how multiple users are using devices. Like what words are trending. 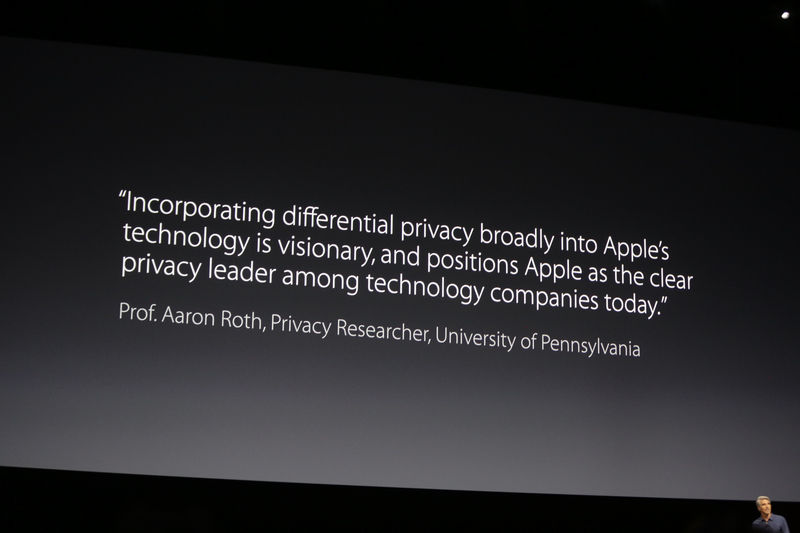 Differential privacy." Apple does a better job talking about the importance of security than any other smart home player. "Lets crowdsourced info but keeping individual user info private." 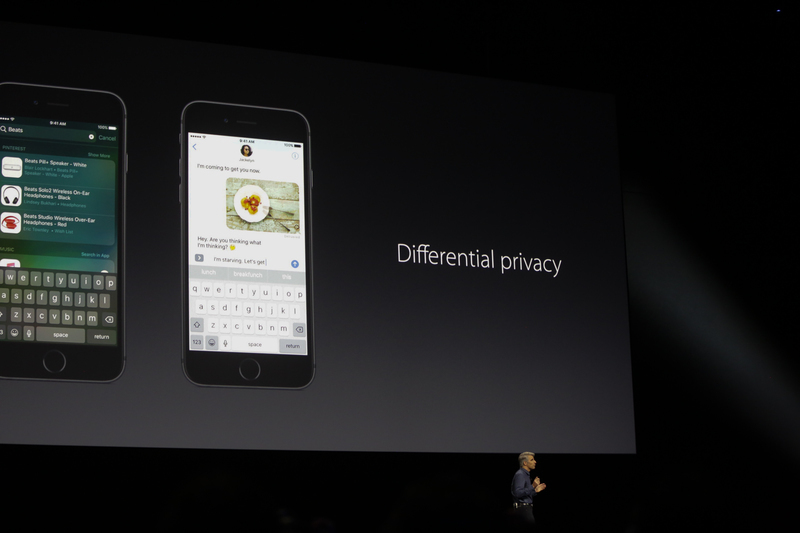 "differential privacy" sounds like something that's complicated to digest. "We brought in the professor who co-wrote the book on differential privacy." "We believe you should have great features and great privacy." 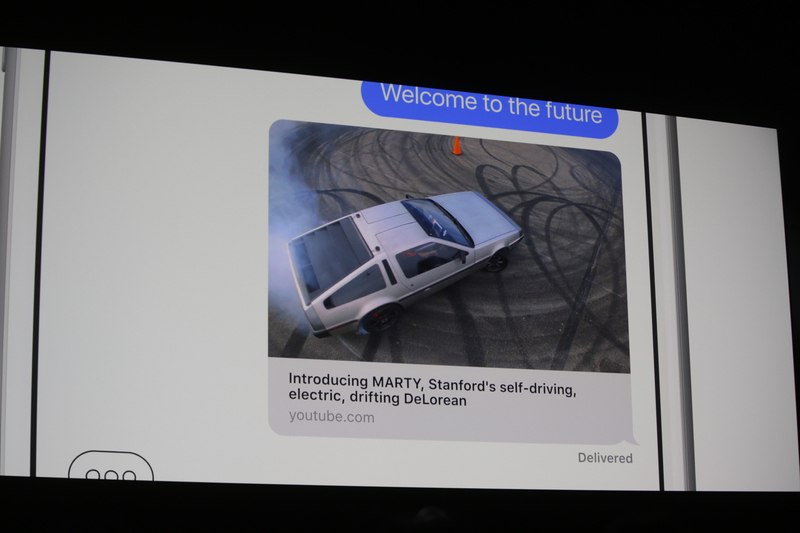 "We are so excited about everything you've just seen with iOS 10. We couldn't help ourselves. We made a video." Notable: almost no discussion of iPad and iOS 10. Apple Watch updates seem great, though. Developer preview is available today. "We're doing a public beta this July." "I could not be more proud and excited about the advancements across all of our platforms." "We believe it's crucial we provide the best tools so you can create the best apps. That's why we created Swift." "Since we released Swift less than two years ago, we've seen an amazing response to the developer community. Already more than 100K apps using it. Twitter, Lyft." 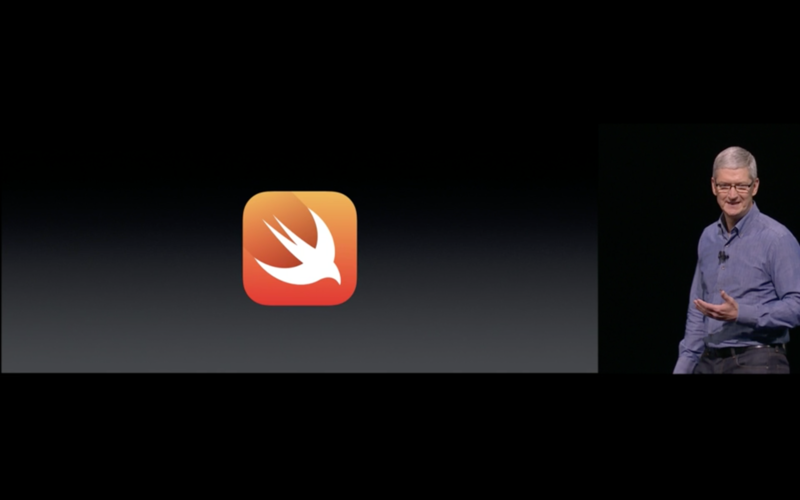 "We wanted everyone to use Swift so we released it as open source in December. Already the No. 1 language project on GitHub." "This is a very important point for us. 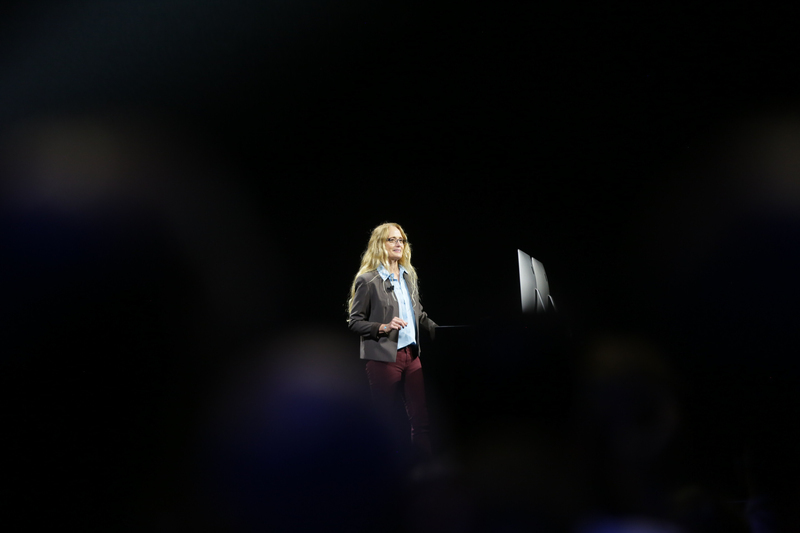 Because Swift is so easy to learn, has the potential to bring many more people into coding." 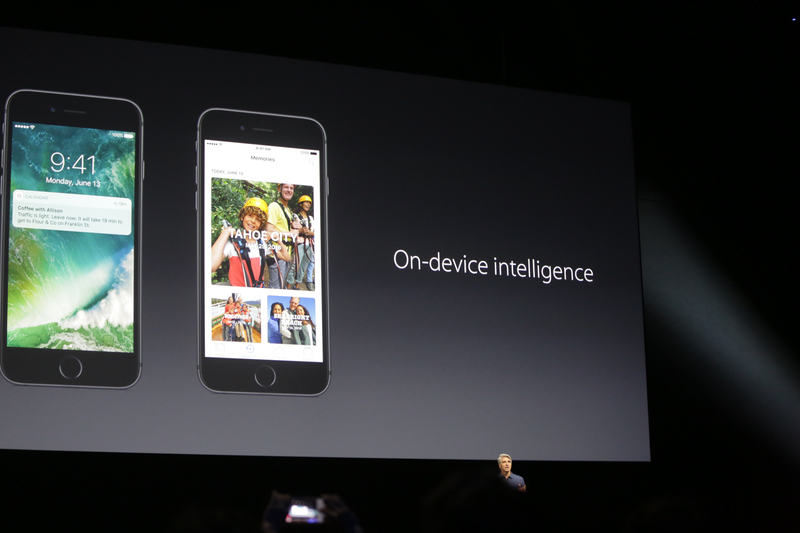 "Today introducing a new app for iPad. 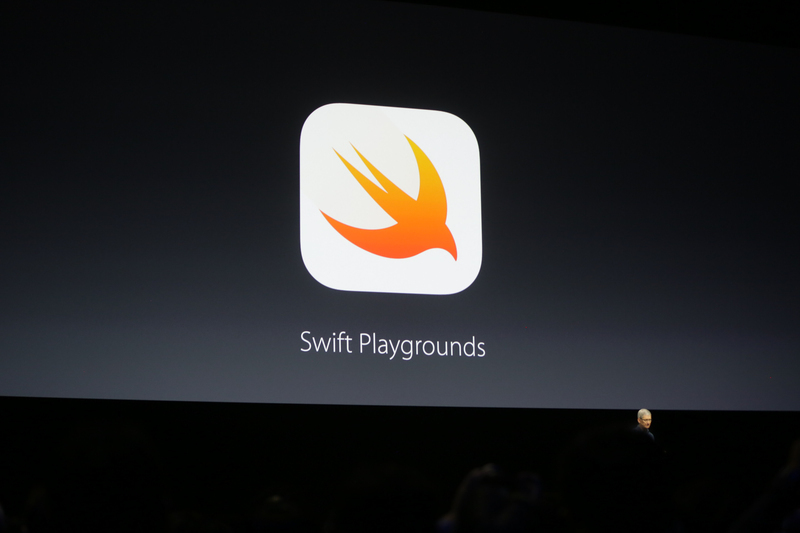 We call it Swift Playgrounds." I saw someone from Apple wearing a t-shirt with Swift flair on the shoulders. Was pretty cool. "Instantly makes it accessible for hundreds of milions of people around the world." "To show it to you, I'd like to invite Cheryl Thomas up." Now getting a demo on this. 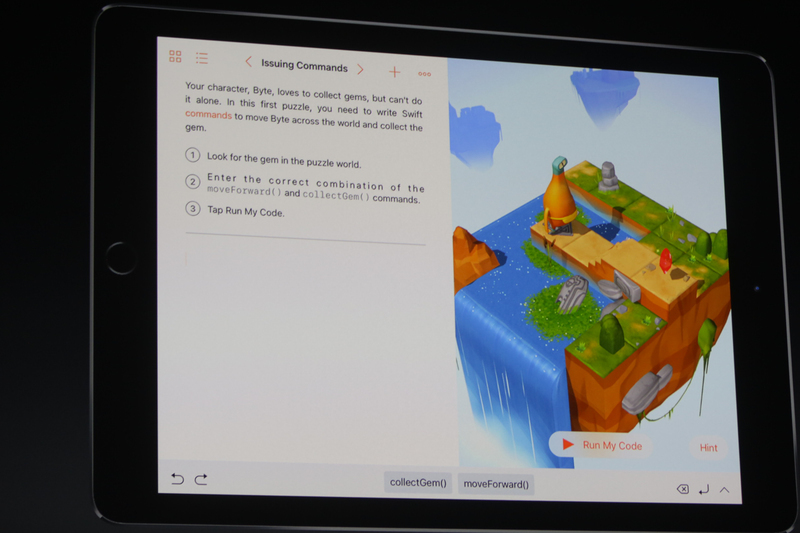 Swift coding education via Swift Playgrounds: I should get my 7-year-old on this so he can attend next year. I love the way this app looks. Shows lessons like "fundamentals of Swift." This Swift app is fascinating. 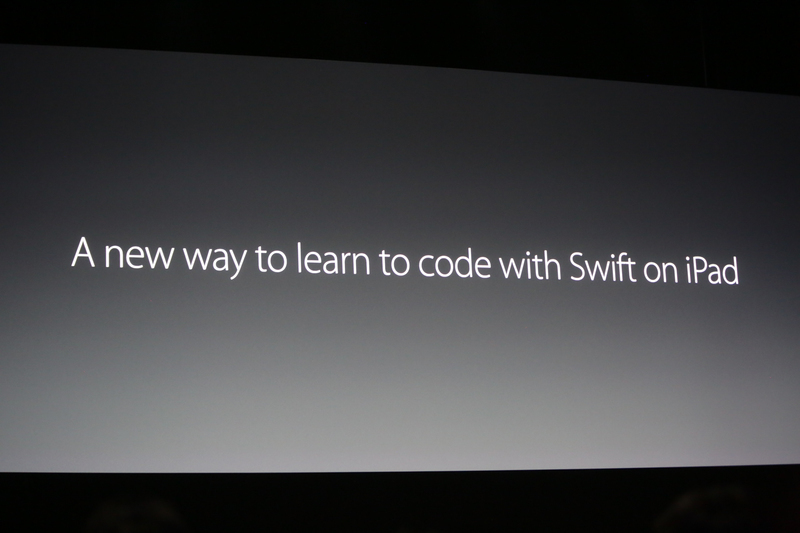 Literally looks like a way for kids to ramp up to Swift. The world is changing rapidly. Have images on the right where you can spin a world. Left is the instructions on how to issue commands. The interface for teaching kids to code is very engaging. "Kids are going to love it."